A new SepiSolar white paper reveals the financial benefits of a pending revision to California’s net energy metering (NEM) policy. 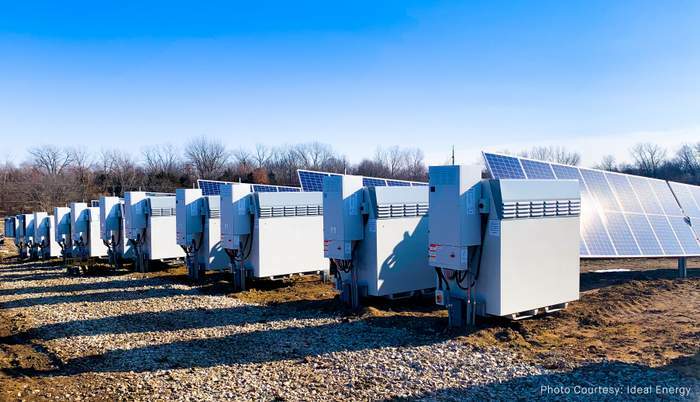 When finalized, commercial DC-coupled solar-plus-storage installations will not only be able to benefit from NEM, but will also be able to increase solar system size, reduce installation and permitting costs, and quicken interconnection approval time. On Oct. 5, 2018, the California Public Utilities Commission (CPUC) issued a proposed decision to modify CPUC Decision 14-05-033, the NEM tariff policy for solar and energy storage. 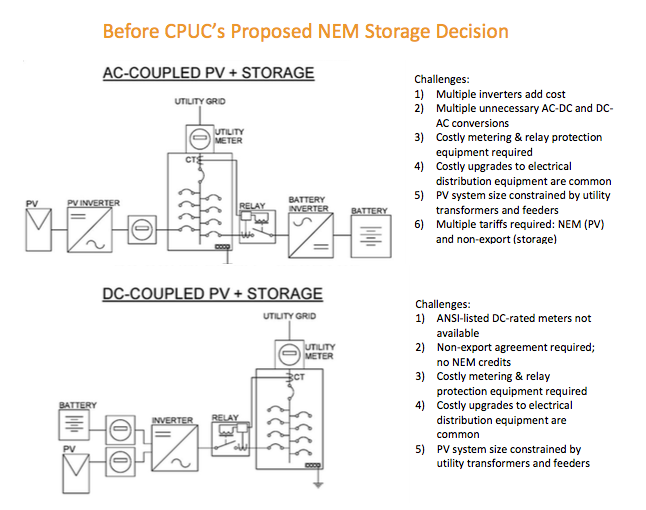 Once approved, the change will allow DC-coupled energy storage systems to become eligible for NEM without the need for thousands of dollars in extra hardware costs and burdensome verification required by California utilities and the IRS for AC-coupled energy storage systems. To take advantage of this policy change, contractors will need to design solar systems with DC-coupled storage and procure DC-coupled energy storage products that incorporate a new UL-verified inverter firmware solution. NEXTracker’s NX Flow energy storage system piloted this firmware solution with UL, and is therefore expected to be the first DC-coupled energy storage product approved for the new regulation. SepiSolar’s white paper reviews and compares the historical challenges of designing AC-coupled and DC-coupled energy storage systems for NEM. It also describes how the new NEM DC-coupled policy and system design will eliminate the need to purchase the extra equipment required for non-export AC-coupled systems, such as reverse-power relays, an additional utility meter, switchgear and a second inverter. As a simple example, Weiner says a 1 MW stand-alone solar system can be increased to 5 MW with a complementary DC-coupled 4 MW storage system and a 1 MW AC inverter that uses the new firmware. The same DC-coupled system design may also eliminate the need for utility infrastructure upgrade costs. These costs are most often charged to the solar asset owner when the solar system’s export generation is over 1 MW. Typically, the owner either pays for the upgrades or decreases the system size. With the new DC-coupled configuration, solar-plus-storage systems can be designed to meet the location’s grid capacity, reducing the need for upgrades. Any excess solar can be stored and later exported at up to 1 MW intervals. In models developed by SepiSolar, adding DC-coupled energy storage under the pending NEM policy is usually much less expensive than the cost of grid infrastructure costs without storage. The simpler DC-coupled design also will allow solar+storage systems to qualify for expedited interconnection, reducing difficult verification requirements for utility interconnection, expediting interconnection. Finally, with the UL-verified firmware, tax equity investors and utilities receive independent verification that the storage system is only exporting solar generation and not charging batteries from the grid. This verification is important for qualifying energy storage systems to receive the 30% investment tax credit. 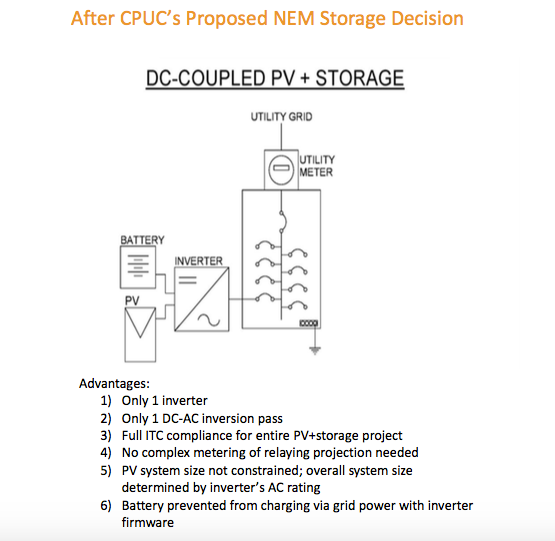 The proposed CPUC ruling for NEM for DC-coupled solar-plus-storage systems is expected to gain final approval by the end of 2018 or early in 2019.